Websense is one of the most well-known web filtering services in the world of IT. It is used by businesses, churches, and everything in between thanks to its robust set of features and its efficacy in managing internet access. If you are an IT professional working for an organization that implements Websense, testing to see if your web traffic is actually being filtered or not can be a very useful troubleshooting tool. Or if you are a delinquent internet user of such an organization, you might want to check if your traffic is being monitored before you visit NSFW websites. I was doing some work on an Invenio installation today, and I came across a warning that’s pretty common to Ubuntu: “The following packages have been kept back.” Here’s what happened, and here’s how to fix it. Sometimes when you’re working on your Ubuntu server (or desktop for that matter) you need to list all installed packages. Another insightful comic from XKCD. I plan to write up a detailed guide on encrypting drives, but in the meantime I just wanted to post how to fix this error. Security is a multi-faceted objective. If you care about protecting your data, you have to protect it from people as well as hardware failure. Thankfully, with Ubuntu you can meet both goals at the same time. 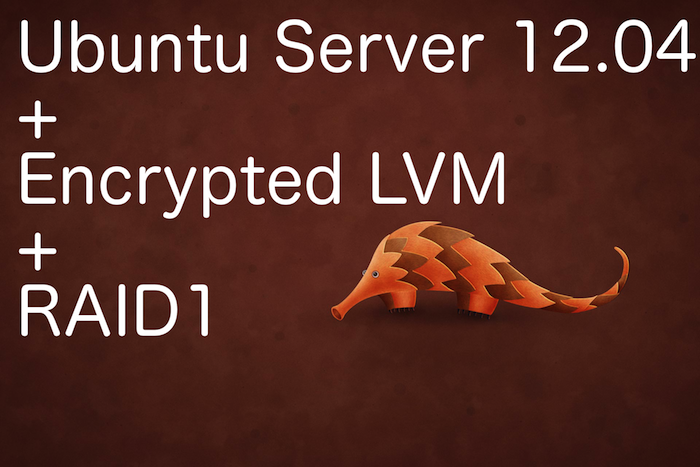 This screenshot tutorial will show you exactly how to install Ubuntu Server 12.04 with encrypted LVM on RAID1.